All groundcover will benefit from a two-inch layer of mulch, to help retain moisture and keep roots protected until they become established. Mulch, of course, also aids in weed control. 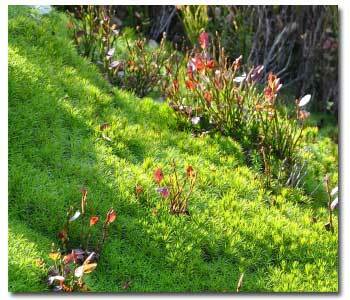 Our staff of garden pro’s will be happy to guide you with all of your groundcover needs.